GASTRONOMY by Joy: Start the year on a high note with McDonald’s SING Happy Meal Toys! 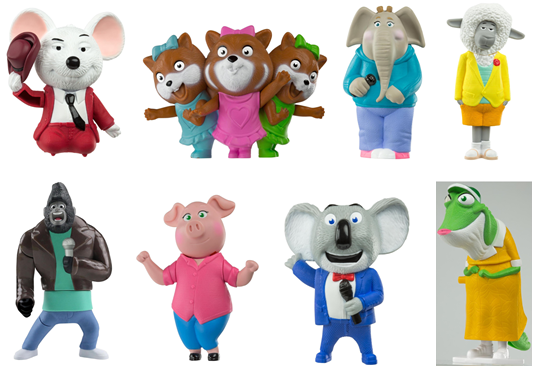 Start the year on a high note with McDonald’s SING Happy Meal Toys! 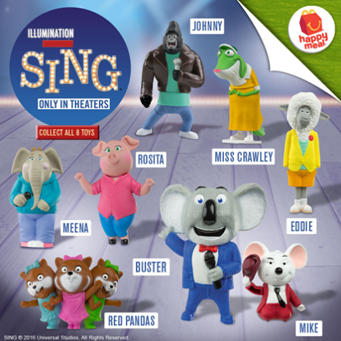 Collect all eight SING toys now, free with every purchase of a McDonald’s Happy Meal! Customers can choose from a Cheesy Eggdesal or 1-pc Chicken McDo during breakfast hours and 1-pc Chicken McDo, 4pc Chicken McNuggets, Burger McDo or McSpaghetti during regular hours. Happy Meals come with a choice of fries or corn and orange juice for a delicious treat!